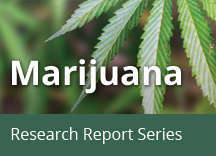 Home » Publications » Research Reports » Marijuana » Is marijuana a gateway drug? Some research suggests that marijuana use is likely to precede use of other licit and illicit substances46 and the development of addiction to other substances. For instance, a study using longitudinal data from the National Epidemiological Study of Alcohol Use and Related Disorders found that adults who reported marijuana use during the first wave of the survey were more likely than adults who did not use marijuana to develop an alcohol use disorder within 3 years; people who used marijuana and already had an alcohol use disorder at the outset were at greater risk of their alcohol use disorder worsening.47 Marijuana use is also linked to other substance use disorders including nicotine addiction. These findings are consistent with the idea of marijuana as a "gateway drug." However, the majority of people who use marijuana do not go on to use other, "harder" substances. Also, cross-sensitization is not unique to marijuana. Alcohol and nicotine also prime the brain for a heightened response to other drugs52 and are, like marijuana, also typically used before a person progresses to other, more harmful substances. 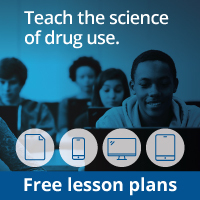 It is important to note that other factors besides biological mechanisms, such as a person’s social environment, are also critical in a person’s risk for drug use. An alternative to the gateway-drug hypothesis is that people who are more vulnerable to drug-taking are simply more likely to start with readily available substances such as marijuana, tobacco, or alcohol, and their subsequent social interactions with others who use drugs increases their chances of trying other drugs. Further research is needed to explore this question.